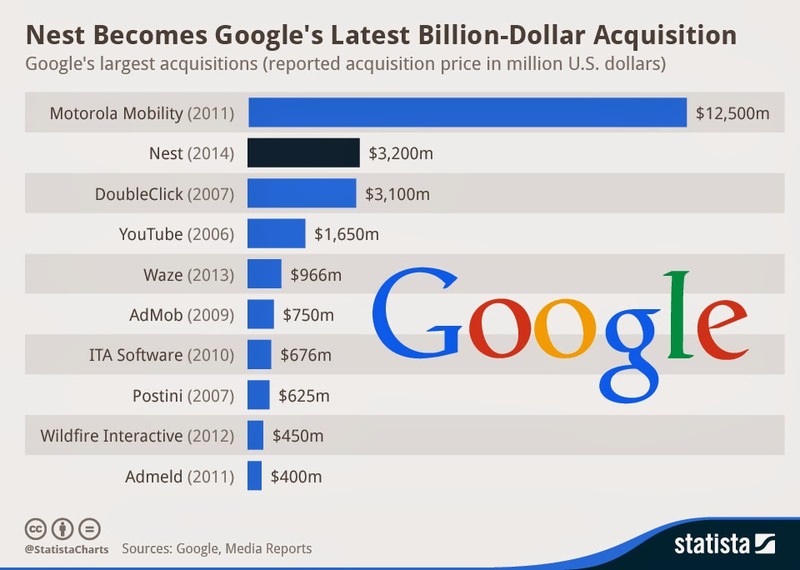 The above chart from statistic shows the selected top 10 most expensive companies which google has acquired. 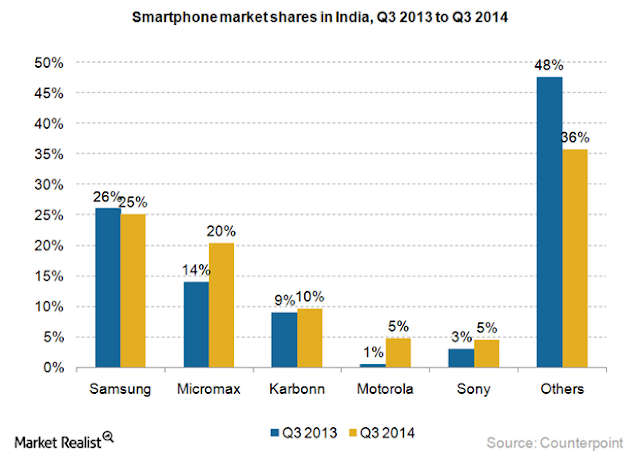 Leading the list Motorola mobility which is acquired for $125 billion USD . 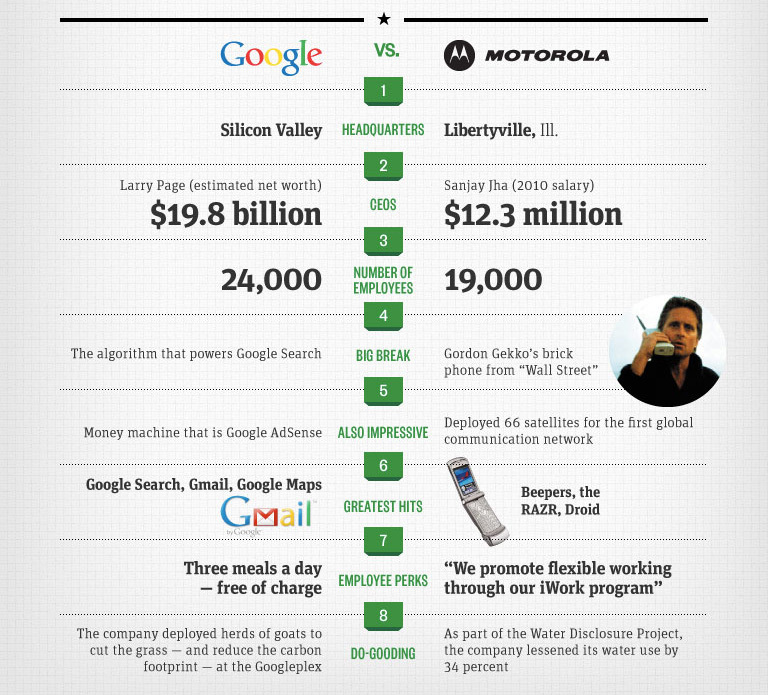 Post Motorola Google acquired smart thermostat creator Nest Labs in January 2014 at 3.2 billion U.S. dollars. Number 3 was double click purchased at 3.1million USD in 2008. Youtube is number 4 with 1.6billion USD. *Note: The Ultramobile (Premium) category includes devices such as Microsoft's Windows 8 Intel x86 products and Apple's MacBook Air. The Ultramobile (Tablets and Clamshells) category includes devices such as, iPad, iPad Mini, Samsung Galaxy Tab S 10.5, Nexus 7 and Acer Iconia Tab 8, HP Pavilion 11, Lenovo Yoga 2 11 and Dell Inspiron 13. 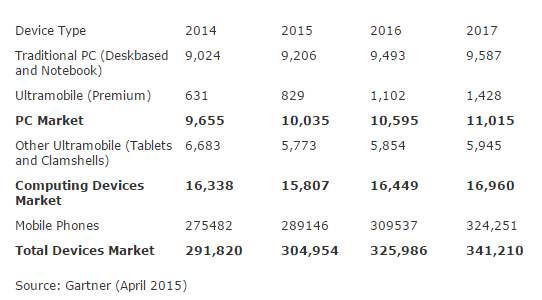 Mobile continues its growth, and are projected to grow 5 percent in 2015 (see Table ). Lower pricepoints of smartphones and tablets with their increasing penetration led by better functionalities have led its high growth segment in the Indian mobile phone market. 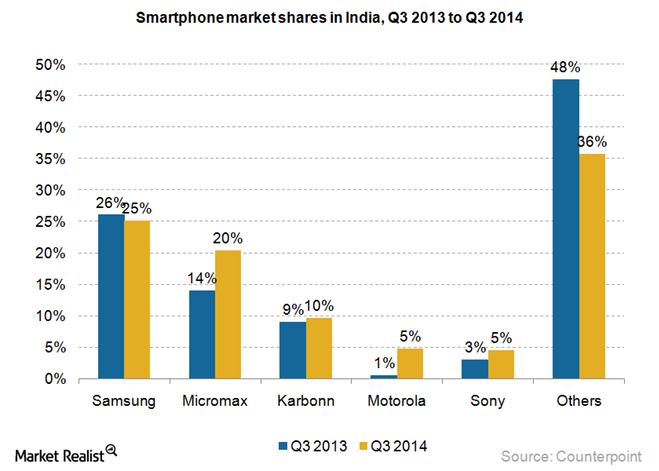 Global vendors, such as Samsung, LG, Motorola, and Nokia, along with local players like Micromax, Karbon, Spice, and Lava are doing well in the smartphone segment. It said "Although Google did not spill any important details about which handset will be carrying the Android L during its I/O keynote on Wednesday, Neither did it the name new mobile operating system is, or its version number – and which handsets would be carrying the Android L"
As it turns out, Motorola has yet to formally speak up about its plans for Android L, and the Facebook account for “Motorola Germany” has been outed as a fake. Coming Soon :Google Powered first Motorola "Moto X Phone"
The Moto X will go on sale in the United States at the end of August,2013 or the beginning of September for a suggested retail price of $199.99 to customers who sign a two-year contract at five of the biggest U.S. mobile network operators. Meanwhile AT/Twill have exclusive rights to let its customers customize the phone from a selection of 18 colors for the back, two colors for the front and seven accent colors for an undisclosed time period. According to The Wall Street Journal, Motorola has the go-ahead from Google to spend five million to promote the new handset both in the U.S and Europe. Sources say that it will also be priced competitively to current high-end handsets -- $199 on-contract and $599 off-contract -- and will make its way to all four major carriers this Fall. Apple vs Samsung vs HTC vs RIM vs Microsoft : Its a battle that never shows sounds of ending , no mater how much money goes down fighting these battles.  Why does this happen, what are the kind of odds that one company might win and control 80% of the entire patent the tech industry has ... The chances are well 50: 50.Indeed, according to this Time magazine article, Apple and Google spent more money on patent litigation than research and development last year. It is no surprise to anyone that Apple and are rivals. The duo have been involved in lawsuits in many different countries worldwide. 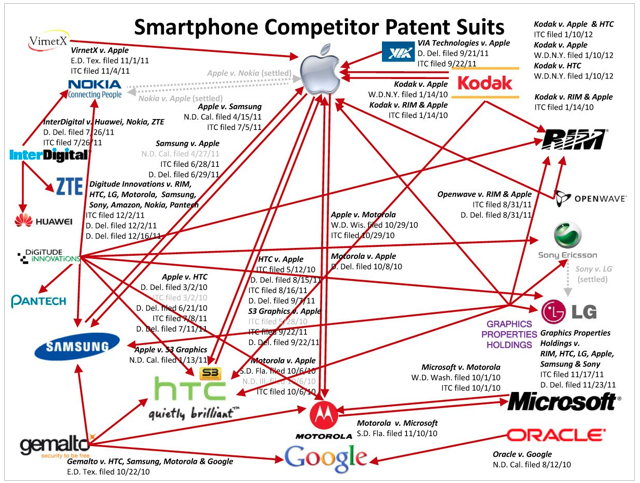 Although the majority of courts have sided with Apple, the war is far from over. So who is copying whom? Not surprisingly Smart phone patents account for 16 percent of active patents in the U.S, using RPX estimates. Microsoft spent more on advertising in the U.S than any other tech company last year, according to AdAge's data. 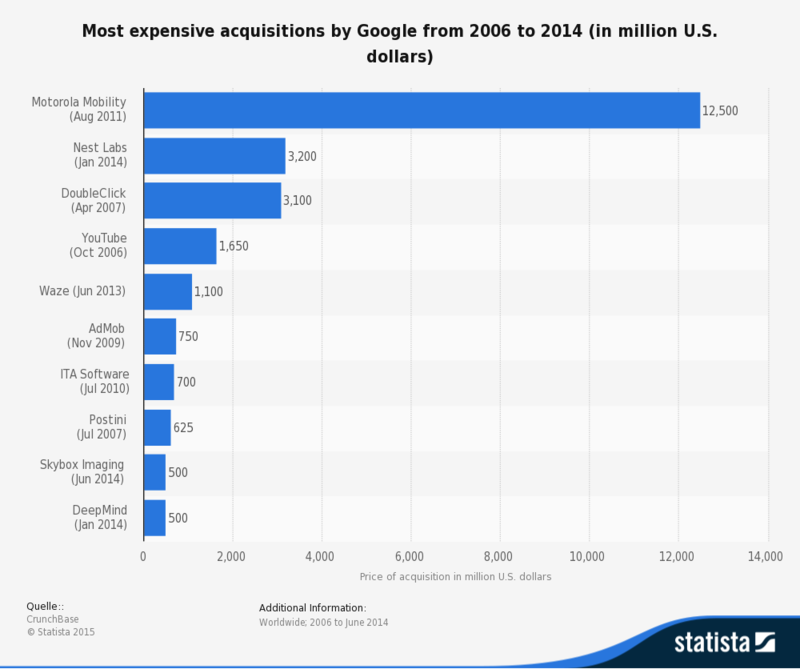 Surprisingly, the second biggest ad spender was Google thanks to the fact that it now owns Motorola.Microsoft and Google both spent just over $1 billion on ads. Amazon spent $773 million, and Apple spent $632 million. The commission had ruled that Apple had indeed infringed one of those patents, and reserved its final decision until August 24. If the commission rules in favour of Motorola, the iPhone could face an import ban as early as next week. Google's Motorola Mobility subsidiary is trying to have the International Trade Commission ban Apple from importing iPhones, iPads, and other computers into the U.S., Bloomberg reports. The smartphone manufacturer filed a complaint with the ITC over claims that Apple infringed on its patents. It's the second complaint Motorola has filed. Motorola, even before it was owned by Google, was fighting with Apple over claims that its hardware infringed on Motorola's patents.A decision on Motorola's first complaint is expected to come next Friday, August 24. As per a report in Bloomberg, Motorola Mobility claims Apple's products infringe seven of its patents on features including location reminders, e-mail notification and phone/ video players. Motorola has filed a complaint at the United States International Trade Commission seeking a ban on US imports of devices including the iPhone, iPad and Apple computers. Since Apple products are made in China, US sales are technically imports from China. For Google and Motorola Mobility , the good times are over and its now time to do Business. So here comes the shocker . Motorola will shrink its operations worldwide and lay off 4,000 employees worldwide as part of its restructuring efforts. This was confirmed by Motorola's new chief executive Dennis Woodside said in an interview to the New York Times. Loss-making Motorola Mobility, was acquired by Google early last year as part of the internet major's strategy to bolster its capabilities in the Android platform - one of the widely-used mobile technologies. Approx one-third of 4,000 job loss would be in the US and the company plans to leave unprofitable markets, stop making low-end devices and focus on a few cellphones instead of dozens. In addition to the coming cuts, Google has downsized Motorola management, letting go 40 per cent of its vice-presidents, but has also hired new senior executives, the report said. Motorola has revealed two new Xoom tablets: the 8.2-inch Xoom 2 Media Edition and the 10.1-inch standard Xoom 2. Another winner has been Carl Icah has been involved with Motorola since 2006, fighting with the company's board, trying to get something out of it all. Well, it finally paid off. He's getting $415 million on this one. Ben Bajarin, who is Director of Consumer Technology Analysis and Research at Creative Strategies, Inc, laid out why Google should buy Motorola on August 2. All of his reasons were spot on. Nokia's stock is up with industry sources familiar with the Tech Industry workings, that people think Microsoft will buy Nokia's stock popped in reaction to the news. Microsoft will be enticed to buy Nokia as a reactionary move,as this will strengthen their product line.Of course Microsoft could buy it as a defensive move. Apple has a tougher time suing Android, but its rival just made a big risky move.Apple comes out of this transaction in decent shape. 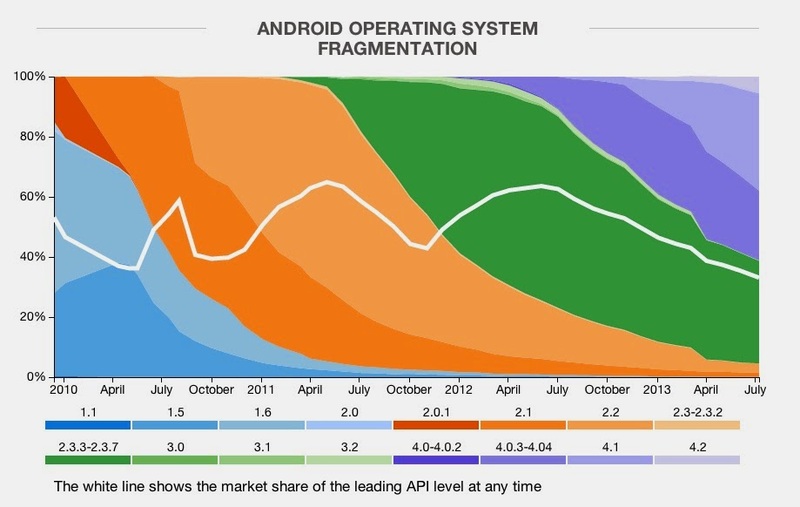 You could argue that it will have a hard fight on its hands in the long run as Motorola works on more Android devices. However, we don't believe Google or Motorola have built any exceptional devices and nothing's going to change that.According to BusinessInsider "We're calling Apple a winner because it forced Google to take this risky $12.5 billion bet on something which it has yet to develop a core competency ( specially in production)"